Get 3 nice headphones at one nice price! Specially designed for digital program materials, the Audio-Technica ATHM3X features high-performance drivers with low-mass diaphragms, maximized power handling capability, excellent isolation and powerful bass. 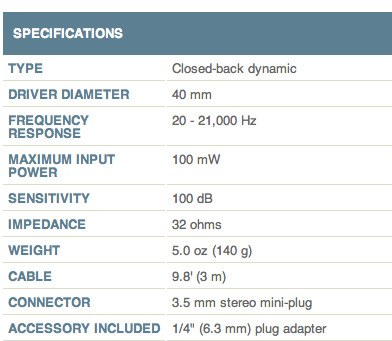 Its frequency response is 20 Hz-21 kHz and it boasts 32 ohms impedance. A 9.8 ft. cable with stereo mini-plug and 1/4" adaptor are included.